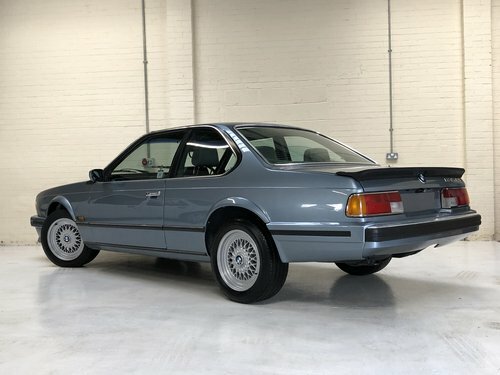 I am absolute delighted to announce that our stunning 635 csi highline is at long last almost ready for sale. Over £10000 has been invested in getting this stunning shark nose in the condition that you see before you today. 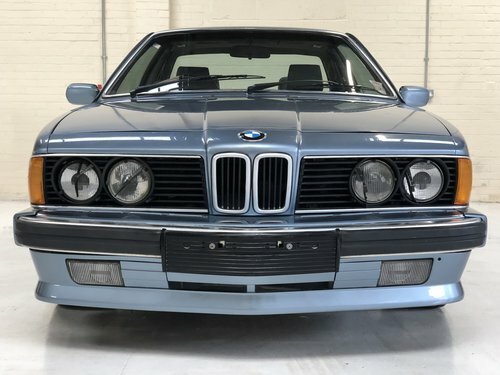 We felt that the vehicle warranted such a restoration as it had fantastic provenance - just 2 private owners from new and in the hands of the last owner for just over twenty years. 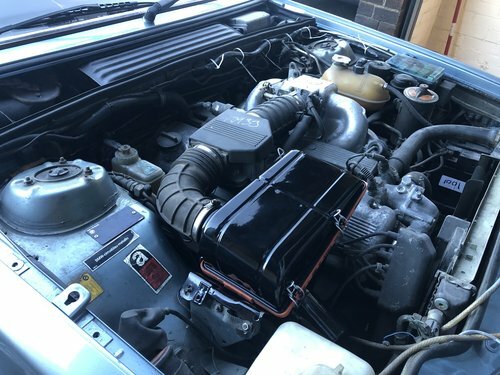 Having covered 123000 miles from new it is of course supported by a fantastic service record which includes all original service books and handbooks, previous mots as well as a plethora of maintenance invoices dating back to when the car was still relatively new. When I purchased the car it had been dry stored for some time and had not run so we initially undertook a full mechanical recommissioning of the car, this included flushing the engine and the fuel system, replacing all the brake lines and fuel lines as the old ones had perished, fresh set of leads, new spark plugs, oil and filter change, new air filter, fuel filter, four replacement brake callipers (genuine BMW) as well as new discs and pads all round. New inline fuel pump fitted swell as the fuel tank sender unit changed also. 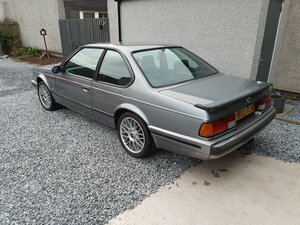 Once happy with how the car was running I then stripped it to a shell and set about repairing the rust (no matter what people tell you E24’s do rust!!!) 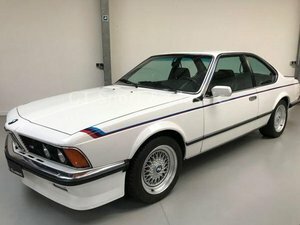 Both front wings were replaced with genuine BMW items (not cheap!) as well as changing both inner and outer sills both sides, 2 new pieces in the rear panel, new floor sections and rear arches. This was a beautifully executed job carried out by a classic car welding specialist I use regularly. Every piece and panel was treated correctly before being fitted to ensure no rust in the future. The cost of the welding alone was £2500. 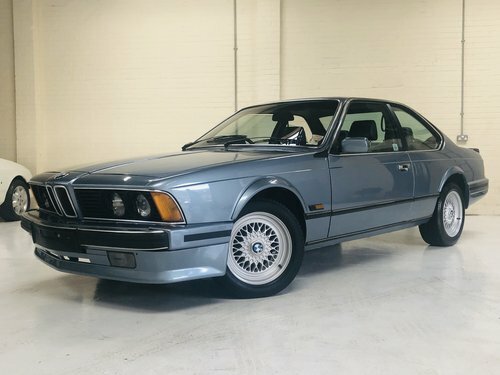 Following this I had the car prepared and eventually painted in its original hue of cirrus blue metallic. 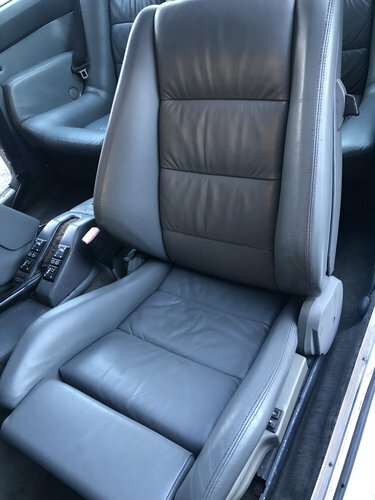 In addition to this I have had all the leather interior including all four doorcards fully reconnolised, the drivers seat required a replacement panel where it had worn on the edge. Whilst the vehicle was being painted I took the opportunity to have the fuel tank fully refurbished also. I have future proofed the car by waxoyling all the important areas including inside the rear wings, under the boot floor and in all four arches. I have kept many photographs at various stages of the build which I will print out and include in the history folder for the new owner. Cirrus Blue metallic with contrasting silver leather interior. 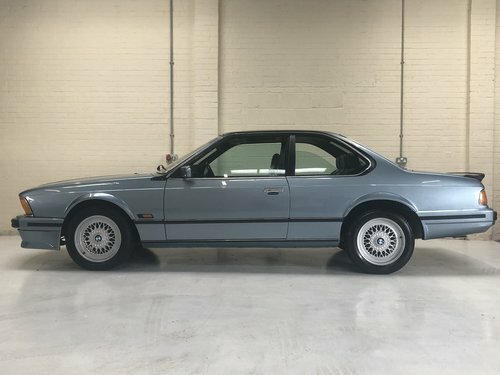 As you can probably tell this car has been a complete labour of love for me as I fully intended on keeping it as I have lusted after an e24 since I was young, unfortunately I am also in the middle of 2 other projects that unfortunately require my funds so the 6 has to go. 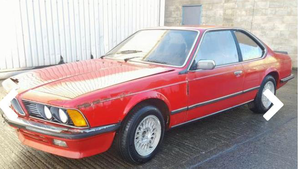 The vehicle will be ready for viewing’s/collection the first week in February as we are busy just doing the final jobs to get the car ready for MOT (we will be supplying with a fresh 12 months). 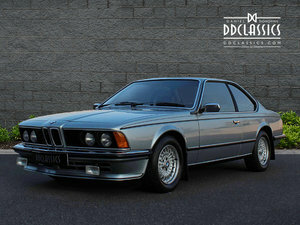 We have just uploaded a few photographs initially and will post more when we have the car fully detailed this next week. Thankyou for taking the time to view the ad and please feel free to message me with any further questions.